Jamie! A dear friend forwarded your video clip to me and my heart stopped! I am SO excited about your work! I have been a cowgirl in my heart from the time I could walk but growing up as a preacher’s daughter kept me from realizing my dreams. 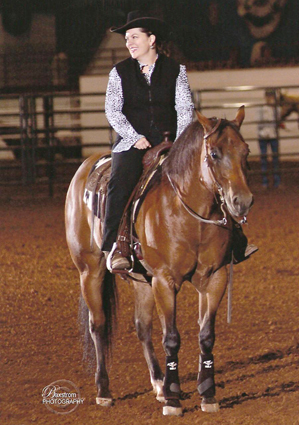 At 39 I bought my first horse and now, at 42, am living my dream showing reining horses! I will keep up with your work!! !